No idea how long I'll be doing speech therapy. My parking pass expires on February 20. The rehabilitation group shares the building with a YMCA and the parking situation is crazy. At the start of the session, Debbie gives three words. About 15-20 minutes later I'm supposed to remember them. On Friday the words were illuminate, pungent, and suspect. I remembered illuminate because she promised to tell me something later that was relevant to that word. Like a little prize. 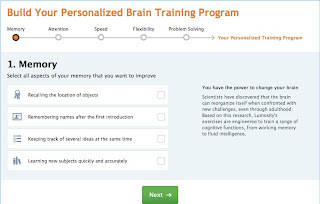 That was Lumosity, where you can play games that train your brain. The software figures out your level by your score and speed, then keeps advancing to get you to the right place. 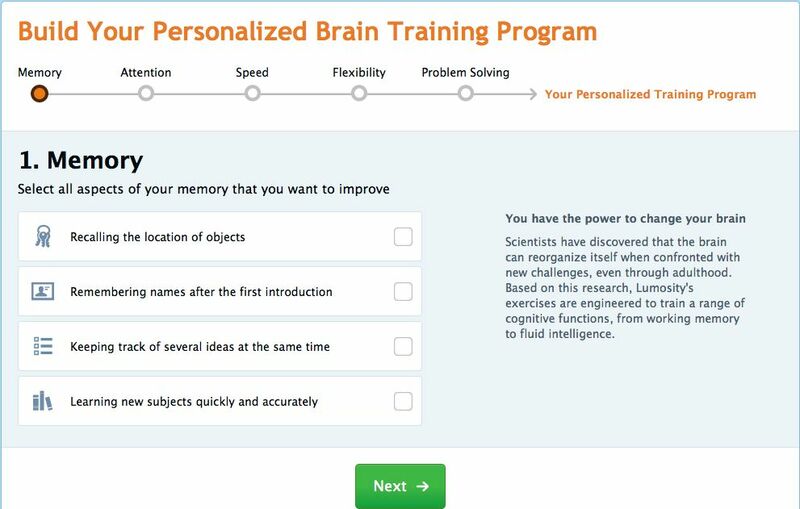 She recommended the memory and attention games and mentioned another site as well, Happy Neuron. The first three, please. Learning new stuff does not seem to be a problem.